Click on the Add New User button in the upper right hand corner of the page. 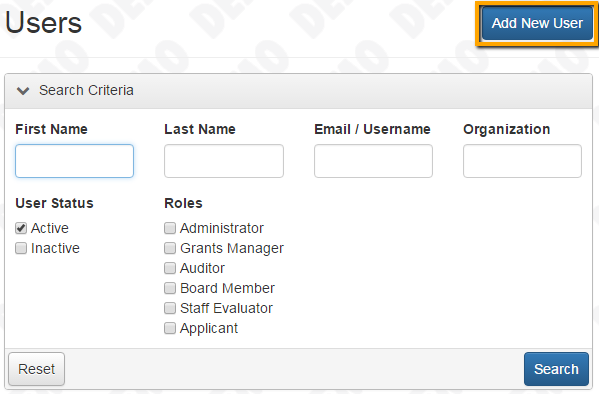 Complete the profile fields and choose a role (Board Evaluator, Staff Evaluator, Administrator, or Applicant). Only users with the applicant role need an Organization assigned to them via the organization drop down menu at the top of the page. Please note that not all fields are required when manually adding a user to the system. After all the information is entered click Save. Remember the password because the password will be hidden. 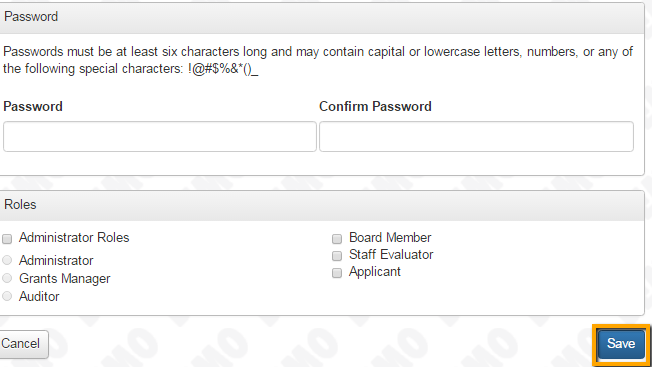 Users can update their password once they access the system. An automatic email notification will NOT go out when a user is added this way, so you will need to manually email them and provide them with their logon credentials.